Trick A Treat Goody Bag! 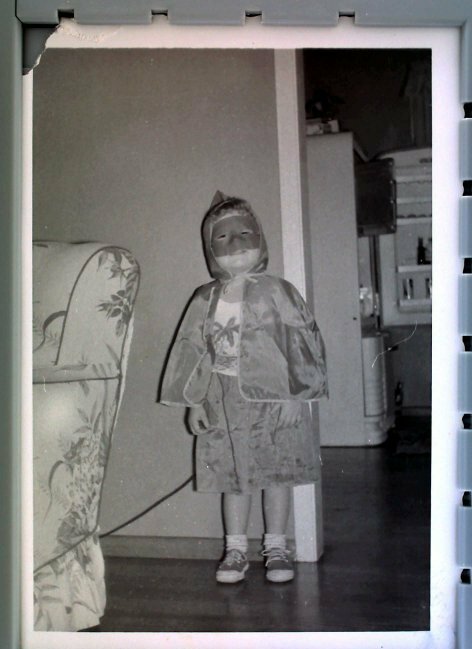 I have VERY fond memories of growing up in a small town going trick-a-treating. Oh how it was so much fun and safe. Mother would park on one side of the block and we’d walk all down that block on one side cross over and come back down the other side cross over to her car. The stash in our little plastic pumpkins was full and lasted us until Christmas. Well now it is time to put those pumpkins up and get stylish. 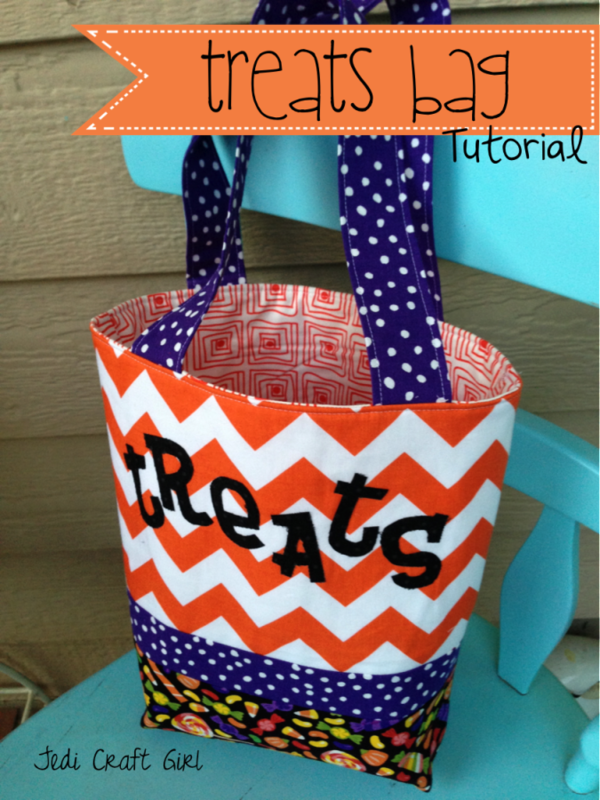 I found this very neat tutorial online, Tricks and Treats Bag by Amanda Niederhauser of Jedi Craft Girl. I think you will enjoy it and by the way the tutorial looks very easy. I like the easy projects and IT IS FREE!! AND… a flash from the past for you to enjoy!!! Me dressed at “Rita Hyde” Little Red Riding Hood.. I would get my book and ask Aunt Jan to read me Rita Hyde. This entry was posted in 2013, Holiday's, Tutorials. Bookmark the permalink. One Response to Trick A Treat Goody Bag! That is a cute bag and a cute photo of you. Love that outfit.